FoxGate F800E-4G is a multicore firewall designed for enterprise networks, service providers and databases. The device can be easily integrated into the network and has extensive features to protect your network. This unit can handle a large number of client’s requests regardless of their nature, such as VLAN-s, PPPoE setting, DHCP requests, traffic filtering and more. 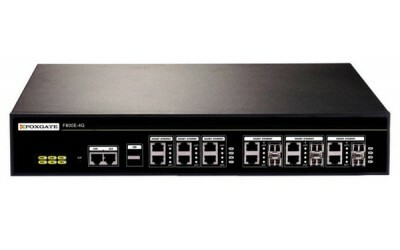 FoxGate F800E-4G has six 10/100/1000Mb ports and 6 combined GE SFP ports to connect the servers in asecure DMZ network. 64-bit multi-core processor with high-speed bus is integrated into the FoxGate F800E-4G for the hardware VPN, QOS database management and the data flow control that allows the customers to avoid difficulties with traditional ASIC, CPU or network processor.